‘The Real Van Gogh: The Artist and His Letters’ opened this weekend at the Royal Academy of Arts. The exhibition focuses on Van Gogh’s correspondence to provide an insight into his ideas about art, nature and literature and the way he defined himself as an artist and human being. Vincent van Gogh (1853-1890) wrote mostly to his younger brother Theo (1857-1891), who was an art-dealer and supported Vincent both emotionally and financially throughout his life and career. 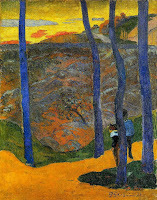 Other letters are addressed to his sister Willemien and to fellow artists including Paul Gauguin. Many are illustrated with small detailed sketches which Van Gogh used to show a work in progress. The first major Van Gogh exhibition in Lon- don for over 40 years, ‘The Real Van Gogh’ provides a fascinating glimpse into the mind of a misunderstood and misrep- resented artist. The diversity and ver- satility of his works is striking; the breadth of his talent, which was only recognised after his death, is stunning. Vincent van Gogh was born in Groot-Zundert in the southern Netherlands in 1853. His father Theodorus van Gogh was a Protestant pastor of the Dutch reformed Church. 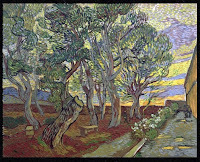 Vincent began work, in 1869, for Goupie & Cie a firm of art-dealers in The Hague. He was thereafter transferred to London and then to Paris. His employment was, however, terminated in 1876 and the following year he travelled to Amsterdam to study theology. In 1879, he began working as a missionary in a mining region in Belgium. Van Gogh’s career as an artist did not begin until 1880, when he was 27. During his relatively short ten-year artistic career he produced over 800 paintings and 1,200 drawings. In the last 70 days of his life, he completed more than 70 works. On July 27th, 1890, aged 37, Van Gogh shot himself in the chest. He died two days later. Van Gogh is most famous for his colourful depictions of still lives and landscapes using rhythmic and swinging brush strokes; however, the majority of his paintings were in black and white. He only used colour during the last four years of his career after he moved to Paris in February 1886. The first section of the exhibition is devoted to Van Gogh’s Dutch landscapes, which he painted, at the beginning of his career, in black and white and shades of brown. For Van Gogh one of the key duties of an artist was to study and depict nature. He wrote in a letter to Theo in July 1882: ‘the duty of the painter is to study nature in depth and to use all his intelligence, to put his feelings into his work so that it becomes comprehensible to others’. Van Gogh’s art was rooted in nature, and he returned to nature during the last years of his career, with his depictions of the seasons and landscapes of Provence that are most typically associated with him. From Dutch landscapes, however, he moved on to depict figures and the farm labourers and local weavers of the rural community of Nuenen, where he lived between 1883 and 1885. 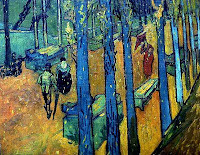 Van Gogh became a colourist when he moved to Paris in February 1886. Based on his studies of Eugene Delacroix (1798-1863) and Adolphe Monticelli (1824-1886), he deve- loped a theory of contrasting complementary colours (red and green, blue and orange, yellow and violet), which he perfected in a series of flower and fruit still lives. In the summer of 1887, he produced Two Cut Sunflowers, one of his earliest depictions of sun- flowers. Van Gogh’s paintings became even more colourful when he moved to Arles in Provence two years later. He worked on a series of canvases based on complementary colours and increasingly came to view colour as a means to convey feeling and visual energy rather than reality. A second secret and often underestimated facet of Van Gogh’s work is the influence of Japanese art. Van Gogh’s fascination with Japanese wood- block prints also developed following his move to Paris, where japonisme, the taste for all things Japanese, was very fashionable at the end of the 19th century. Vincent and his brother began a collection of Japanese woodblock prints by Utagawa Hiroshige and he later informed Theo that ‘all my work is based to some extent on Japanese art’. This Japanese influence is striking in the series of paintings and drawings that Van Gogh completed in Saintes-Maries-de-la-Mer on the Rhone delta. wow, dear Lotus, i hadn't known anything about his passion for Japanese art, thank you! thank you roxy! and thanks for the wonderful link. I had never recognized the Japanese influence on his work, but after your post I can't believe how blind I was. Fascinating post. thanks to you, lucinda, as well! both of you may be interested in this post too.